We're a fan of lemon bars around here (who isn't? ), but in honor of Cinco de Mayo, we substituted delicious mangos for a flavorful, exotic twist on the classic. Mangos, along with containing an array of vitamins and minerals, are sweet and juicy tropical treats that kids often enjoy. Make up a batch of these for a backyard or park party and we promise, everyone will be hooked! Read on for a vegan dessert recipe that will have everyone talking...and eating! As always, we recommend using organic ingredients whenever possible. 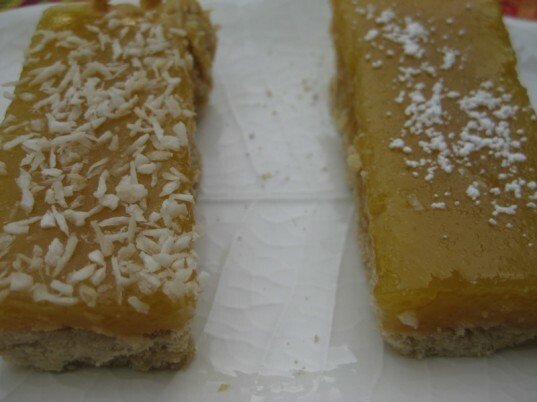 The key ingredient in these vegan mango bars is the agar flakes, which are made from seaweed. Don’t be worried – they taste NOTHING like seaweed. 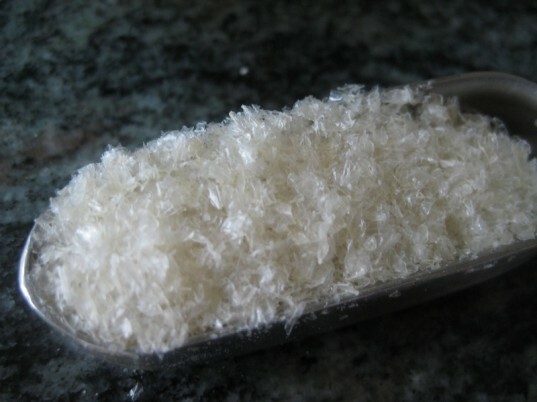 Agar flakes, also known as agar agar, also come in powder form and both are used as a sort of veg-friendly gelatin substitute. Basically, all you need to know about agar flakes is that they are awesome and they allow you to create creamy desserts without using gelatin, eggs or cream! Preheat the oven to 350 degrees. Line a 7 by 11 inch sized Pyrex dish with parchment paper or grease with butter or oil. Combine the flours and baking powder in a medium-sized bowl. In another bowl, whisk together the oil, maple syrup, and salt until well-combined. Add the wet ingredients to the bowl of dry ingredients and stir with a spatula or wooden spoon. You can also use your hands to work the liquids in. The dough should just hold together (try squeezing it in your hand to see if it holds together), but if it is too crumbly, add a few teaspoons of water until it comes together. Roll out the dough on a countertop lightly sprinkled with flour or between silpats or parchments paper. If the dough breaks apart, don’t worry. Just roll out the pieces until they’re about 1/4-1/2 inch thick. Then transfer the pieces (using a wide metal spatula to lift them helps) into the Pyrex pan and press them into the bottom of the container until it is covered. Bake for 15 minutes then remove from the oven and let cool. 3. Make the mango filling. Pour the water into a small pot or medium-sized saucepan and stir in the agar flakes. Let sit for about 10 minutes while you make the mango puree. Peel and coarsely chop two mangos. Put mango pieces into a blender and blend until creamy. Measure out 2/3 cup mango (any extra mango puree can be used on ice cream, pancakes, or just eaten straight!) and mix well with the arrowroot powder. Bring the water to a medium boil and boil the agar for 6-8 minutes, until the flakes have dissolved. Add the sugar and boil until dissolved. 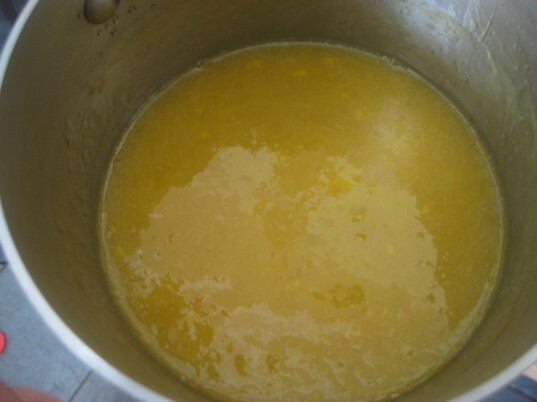 Add the mango/arrowroot mixture to the pot, lower to a low boil, and whisk constantly until the mixture thickens, about 5 minutes. 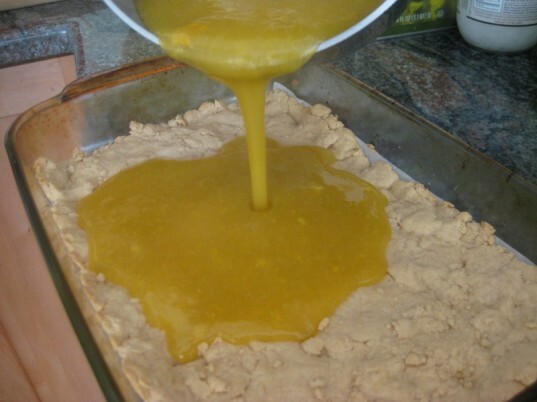 Pour the mixture over the crust and let sit on a counter for about 15-20 minutes, until the mango filling has cooled and begun to set. The filling will still be jiggly, but at this point you can sprinkle the top with toasted coconut if you like. Place the bars in the refrigerator for at least 2 hours (3 or 4 is even better!). Before serving, top with a light dusting of confectioner’s sugar. Cut into squares or rectangles and serve! As always, we recommend using organic ingredients whenever possible. 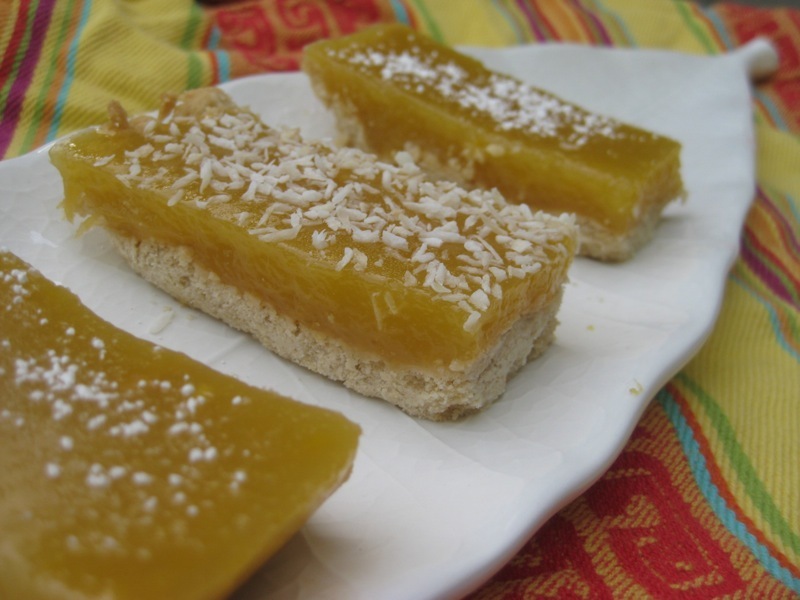 The key ingredient in these vegan mango bars is the agar flakes, which are made from seaweed. Don't be worried - they taste NOTHING like seaweed. Agar flakes, also known as agar agar, also come in powder form and both are used as a sort of veg-friendly gelatin substitute. Basically, all you need to know about agar flakes is that they are awesome and allow you to create creamy desserts without using gelatin, eggs, or cream! Preheat the oven to 350 degrees. Line a 7 by 11 inch sized Pyrex dish with parchment paper or grease with butter or oil. Combine the flours and baking powder in a medium-sized bowl. In another bowl, whisk together the oil, maple syrup, and salt until well-combined. Add the wet ingredients to the bowl of dry ingredients and stir with a spatula or wooden spoon. You can also use your hands to work the liquids in. 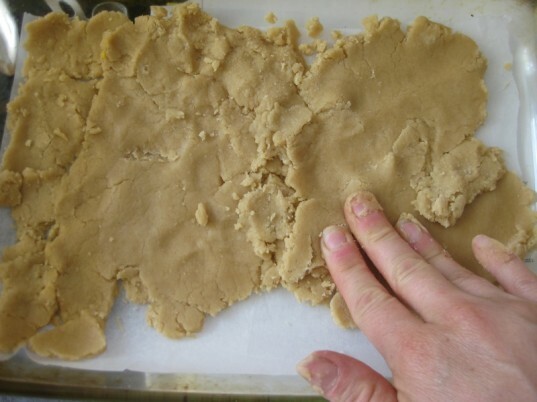 The dough should just hold together (try squeezing it in your hand to see if it holds together), but if it is too crumbly, add a few teaspoons of water until it comes together. Roll out the dough on a countertop lightly sprinkled with flour or between silpats or parchments paper. If the dough breaks apart, don't worry. Just roll out the pieces until they're about 1/4-1/2 inch thick. Then transfer the pieces (using a wide metal spatula to lift them helps) into the Pyrex pan and press them into the bottom of the container until it is covered. Bake for 15 minutes then remove from the oven and let cool. Place the bars in the refrigerator for at least 2 hours (3 or 4 is even better!). Before serving, top with a light dusting of confectioner's sugar. Cut into squares or rectangles and serve!